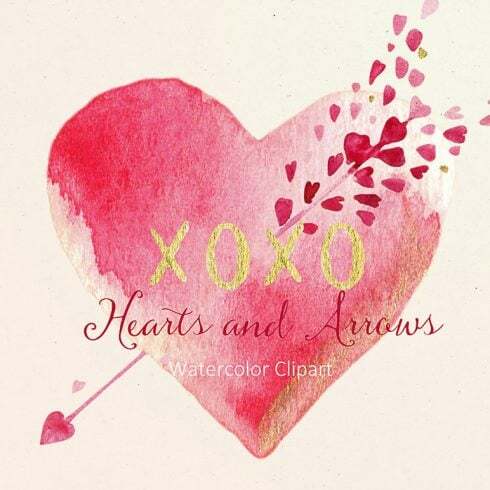 Romantic and tender watercolor hearts and arrows. 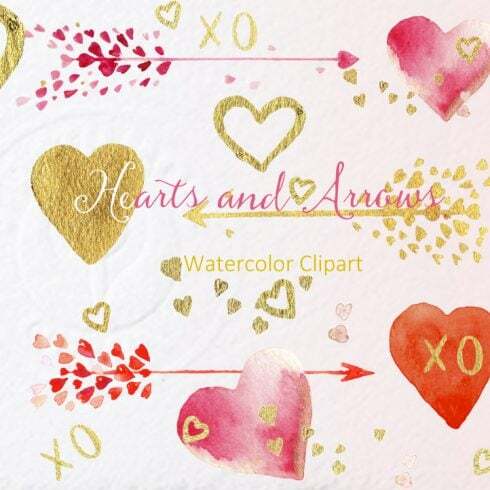 Watercolor clipart Digital clip art hand drawn . Premium clip art. Perfect graphic for creations Valentines cards, logos blogs. This hand drawn floral watercolor is ideal for use in your digital creations such as card template designs, for your logo, on your blog, invitations, digital projects, sites, scrapbooking, wedding invitations etc.! Each element was painted on watercolour paper. Sizes can be manipulated in editing software such as Photoshop or an online editor . All gold elements are hand drawn with golden ink. You will receive 1 ZIP with 18 PNG and 18 JPG, colored as shown on a transparent background. You should be able to download the files instantly after purchase.